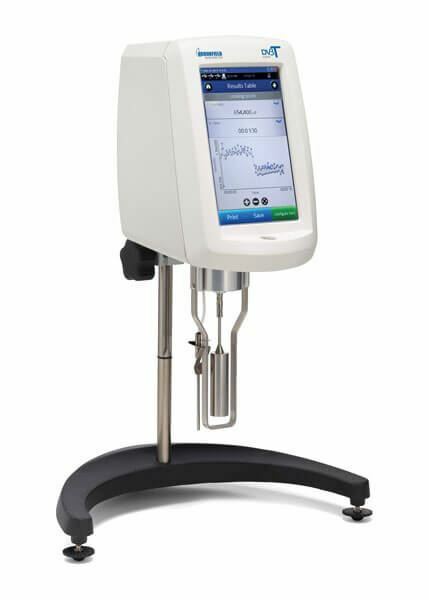 Brookfield Rheometer (DV3T) with 7in Touch Screen - Gilson Co.
LP-23 Brookfield Rheometer, DV3T provides rapid measurements of medium viscosity samples and data analysis for flow index, yield stress, flow curves, leveling, recovery, and single-point viscosity value. The LP-23 can also be used to determine mixing and compaction temperatures of asphalt and estimate binder flow, mix, and performance characteristics in varying climatic conditions when conforming to ASTM D4402 and AASHTO T316 standards. 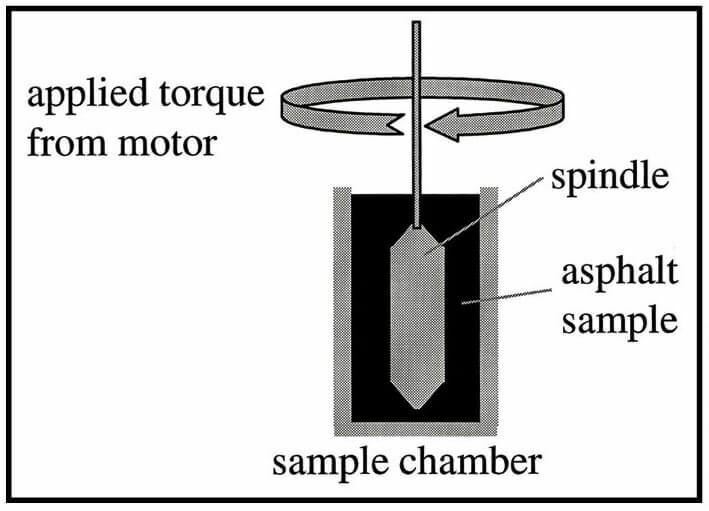 When asphalt binder is heated to precisely-controlled temperatures using the LPA-52 Thermosel Set, a rotating spindle is placed in the sample. The spindle speed and torque are then used to measure the binder’s viscosity. Fast, straight-forward, singlepoint viscosity is also easily accomplished with the LP-23, making it the ideal "all-in-one" instrument for both busy QC labs and demanding R&D applications modeling comprehensive flow behavior. The LP-23’s 7in (178mm) full-color touch-screen displays percent torque, speed/spindle, step program status and math model calculations, has multiple-language support, and provides real-time graphing of data. Auto range feature shows maximum viscosity measured with any spindle/speed combination. Multi-step test protocols can be created and uploaded to the LP-23 via USB. Programming of test parameters can be performed directly on the screen. Data can also be transferred to a PC or sent to a printer. Security features include password access, date and time stamp file, and customizable user access. The LP-23 is also capable of automatic data collection and analysis with LPA-62 RheocalcT Software, available separately. Model: LPA-52Contact Gilson International Sales department for all inquires outside of the USA. Shipping restrictions may apply. Models: LPA-10, LPA-11, LPA-12Contact Gilson International Sales department for all inquires outside of the USA. Shipping restrictions may apply. Model: LPA-121Contact Gilson International Sales department for all inquires outside of the USA. Shipping restrictions may apply. Models: LPA-127, LPA-127DContact Gilson International Sales department for all inquires outside of the USA. Shipping restrictions may apply. Model: LPA-128Contact Gilson International Sales department for all inquires outside of the USA. Shipping restrictions may apply. Model: LPA-129Contact Gilson International Sales department for all inquires outside of the USA. Shipping restrictions may apply. Model: LPA-62Contact Gilson International Sales department for all inquires outside of the USA. Shipping restrictions may apply. Model: LPA-58Contact Gilson International Sales department for all inquires outside of the USA. Shipping restrictions may apply.